With the Milwaukee Brewers in town for a three-game series, Friday marked former Los Angeles Dodgers catcher Yasmani Grandal’s first time back at Dodger Stadium in his new uniform. 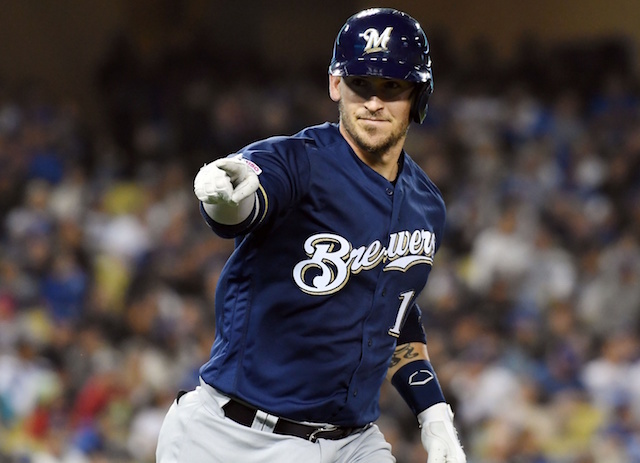 Grandal, who spent the previous four seasons with the Dodgers, signed a one-year contract with the Brewers over the offseason after declining a qualifying offer from Los Angeles. The switch-hitting backstop certainly made the most of his return, reaching base four times in five plate appearances while driving in three RBI. His night was capped off with a go-ahead, two-run home run in the fifth inning that gave the Brewers a 6-5 lead to which they would not relinquish. Prior to haunting the Dodgers with his bat, Grandal received a warm reception from the Dodger Stadium faithful before stepping into the batter’s box for his first at-bat. Grandal’s ovation was well-deserved, considering he was a vital part of the previous two Dodgers teams that advanced to back-to-back World Series appearances. During his four-year stint with Los Angeles, Grandal was statistically one of the most valuable catchers in all of baseball, hitting .238/.337/.453 with 76 doubles, three triples, 89 home runs and 245 RBI over 1,883 plate appearances (510 games). 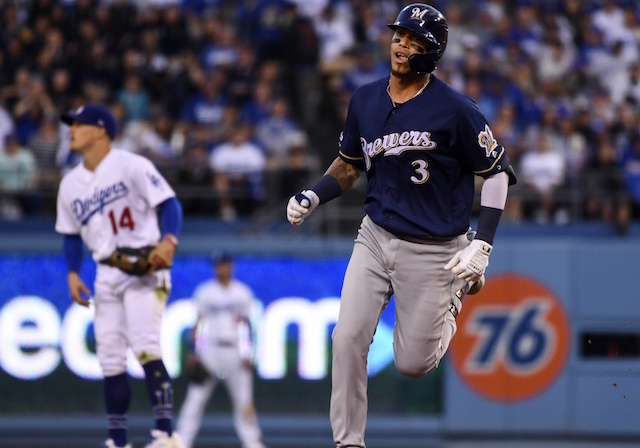 Grandal has followed up that performance with a torrid start as a member of the Brewers, batting .385/.444/.718 with one double, four home runs and eight RBI across 45 trips to the plate (12 games).